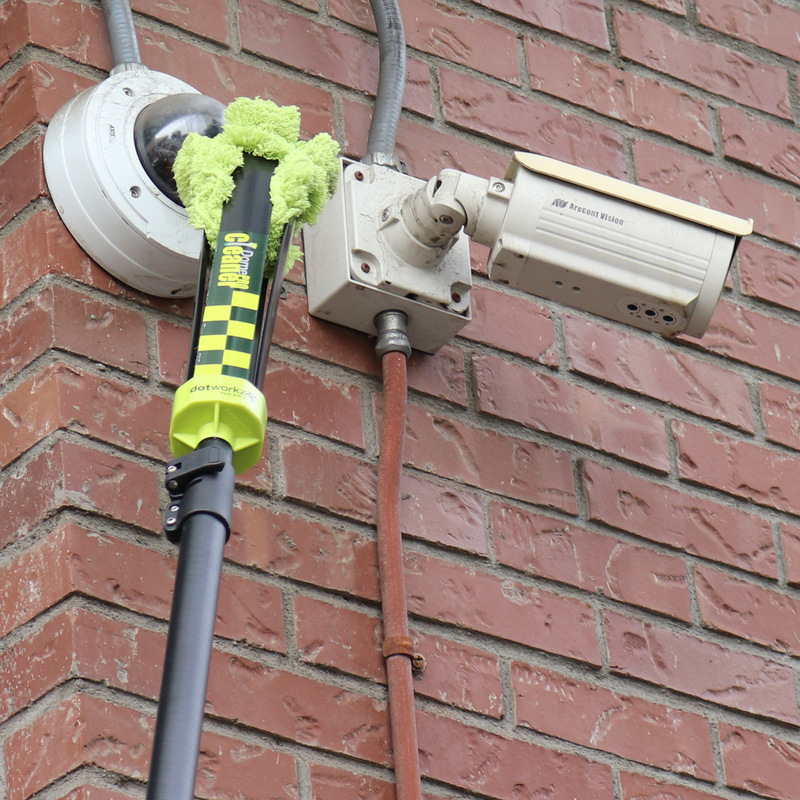 The 25 Series outdoor lens cleaning kit from the DomeCleanerPRO family offers a unique solution that combines a safe and fast security camera lens cleaning system at a very affordable price. 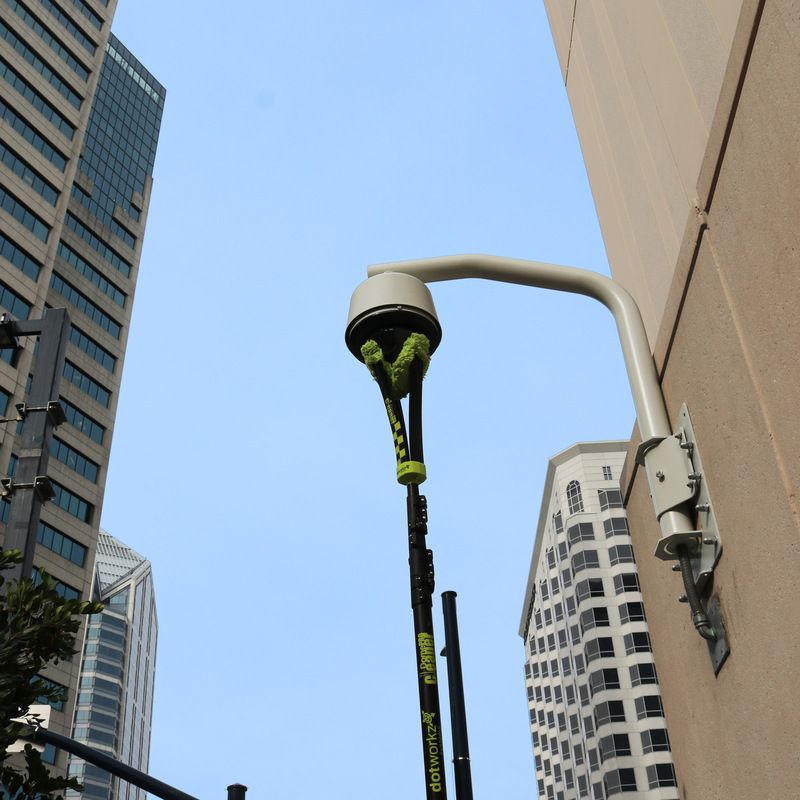 The SkyHook is a professional speed cleaning alignment tool that works in conjunction with all DomeCleanerPro camera cleaning systems. 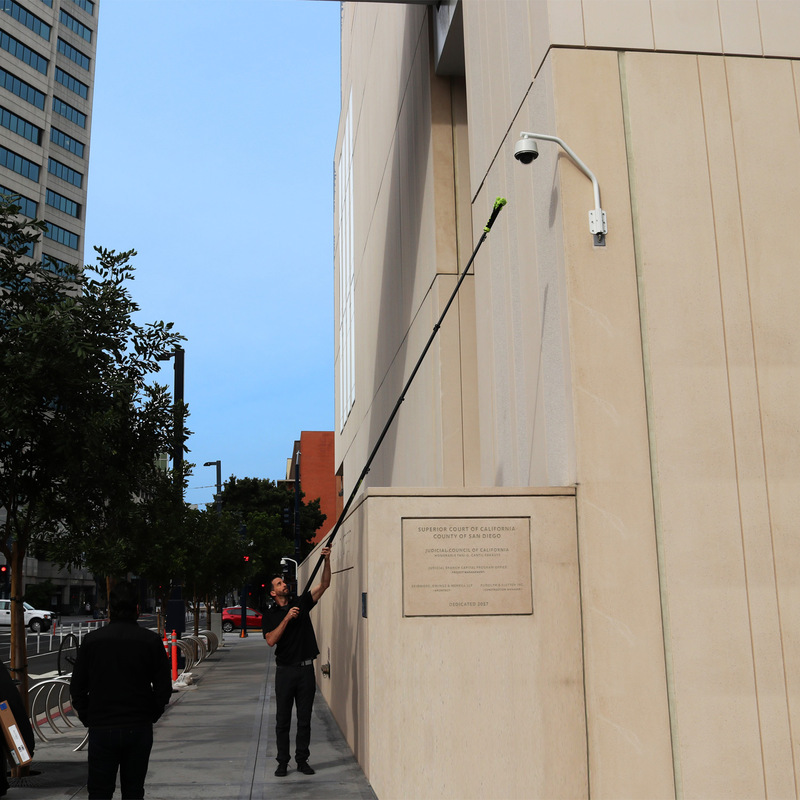 Call (866) 575-4689 for availability! 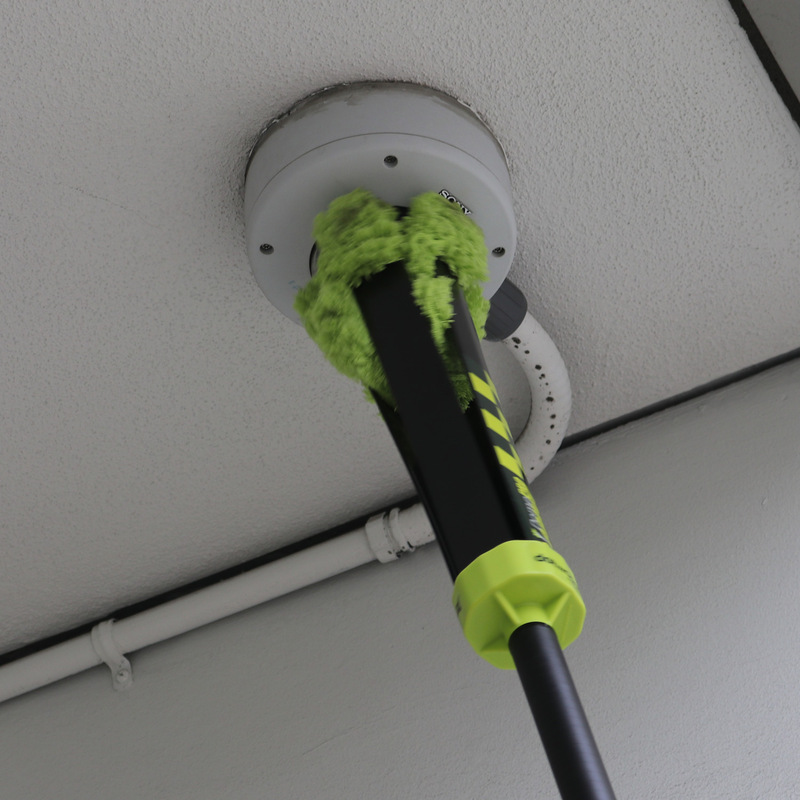 A revolutionizing cleaning tool that goes beyond cleaning cameras, solar panels, and more while cleaning safely on the ground – eliminating the need of using a ladder or lift. 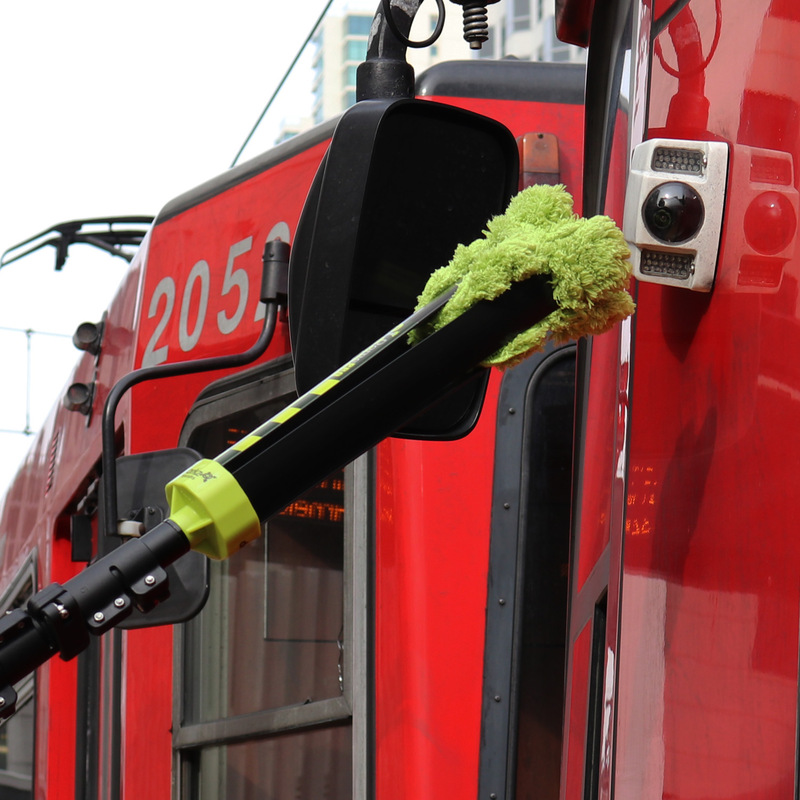 The DomeCleanerPRO is made from the latest in carbon fiber technology reducing weight while increasing strength. 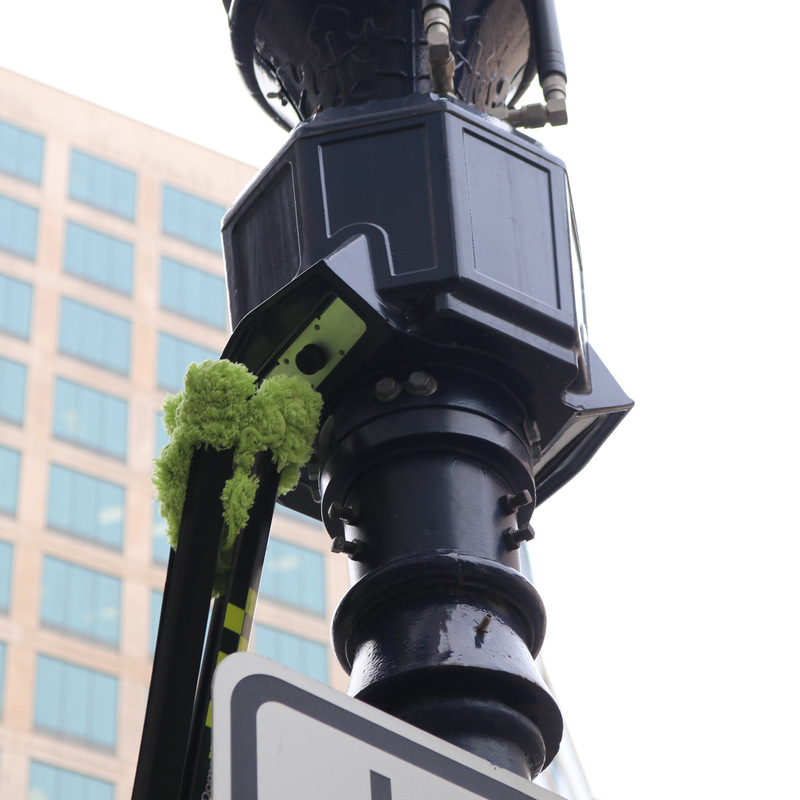 The all new MicroFiber mitt absorbs and releases more DomeCleaner ProClean solution which means that cleaning any surface is faster and without leaving streaks. 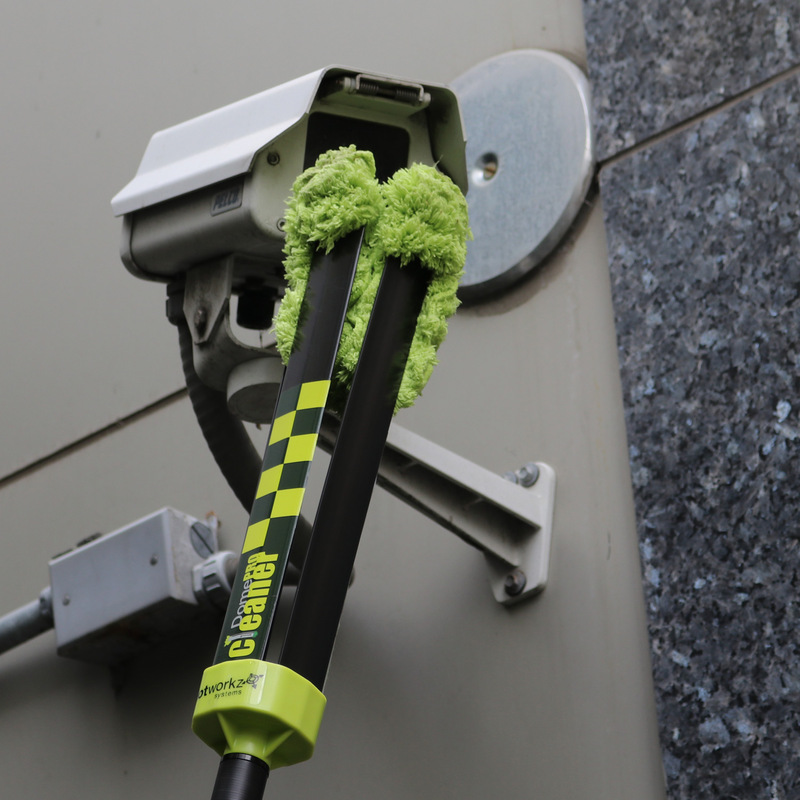 The DomeCleanerPRO is engineered to clean and maintain the exposed lens or dome “bubble” lens of outdoor and indoor surveillance camera enclosures and mini dome cameras, as well as flat lenses on static or fixed camera housings. 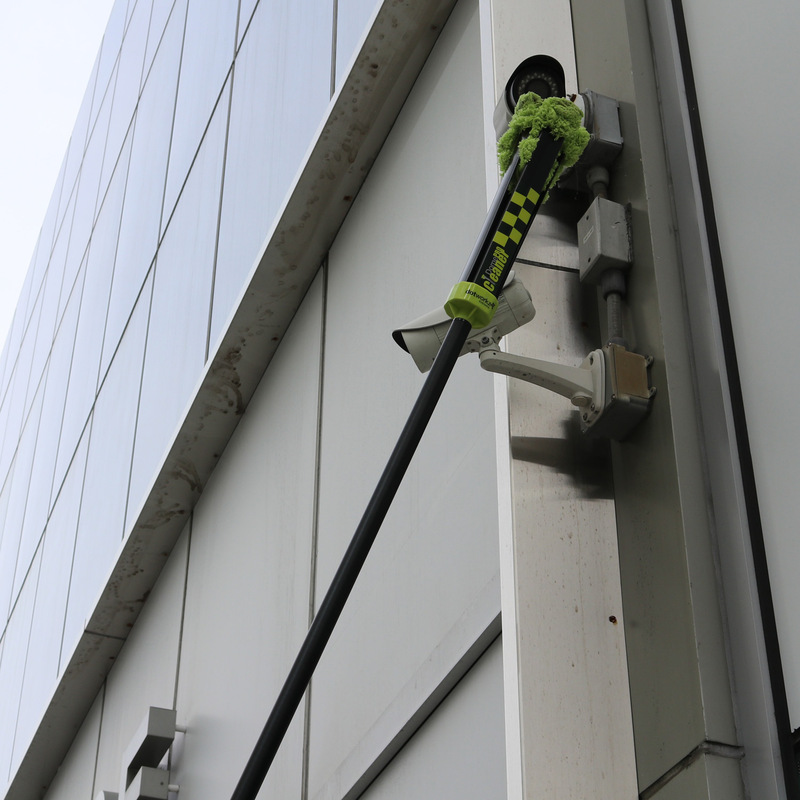 This low tech tool is highly effective in providing optimized maintenance of all security or CCTV cameras exposed to low light, low sun angles, rain, ice, polluted areas, smoke, dust and other contaminants that can impede the cameras view. 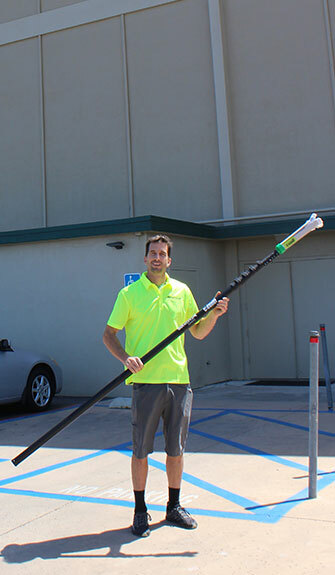 ORDER TODAY – Now Available! 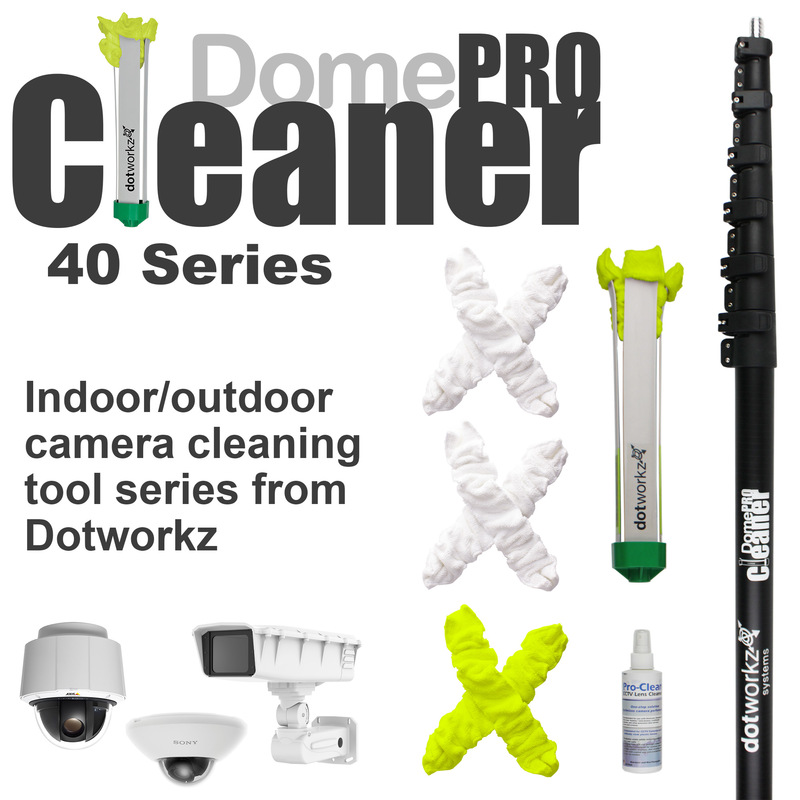 The DomeCleanerPRO 40 Series Indoor/Outdoor Lens Cleaning Solution (DW-PKG40-PRO) from Dotworkz – Kit Contains: DomeWizard™ Lens Cleaning Head, 3 DomeCleanerPRO Microfiber Mitts, a 7 foot carbon fiber extension pole that extends to 40 feet, and a 6oz bottle of Dotworkz ProClean cleaning solution. 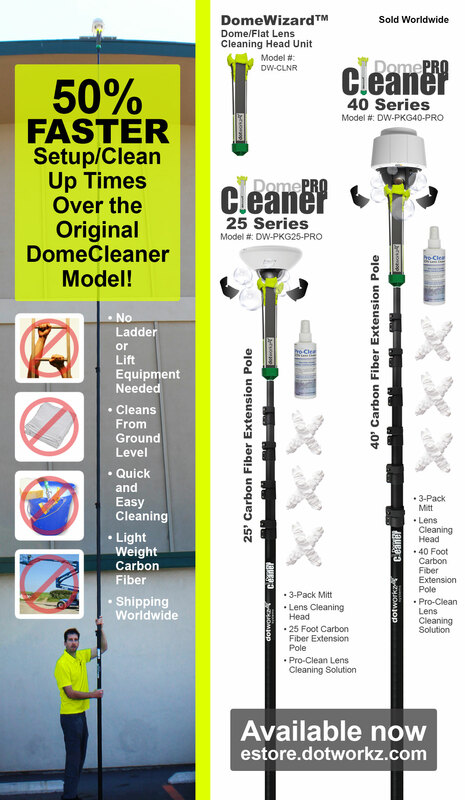 The DomeCleanerPRO 25 Series Indoor/Outdoor Lens Cleaning Solution (DW-PKG25-PRO) from Dotworkz – Kit Contains: DomeWizard™ Lens Cleaning Head, 3 DomeCleanerPRO Microfiber Mitts, a 6 foot carbon fiber extension pole that extends to 25 feet, and a 6oz bottle of Dotworkz ProClean cleaning solution. 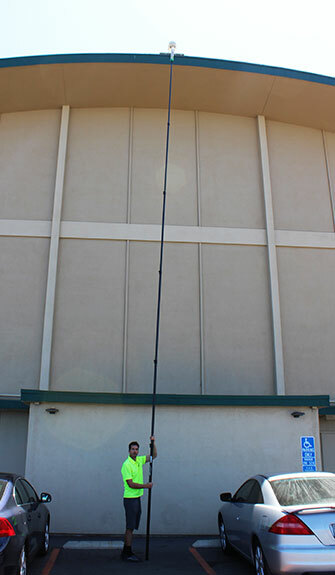 Also available: The DomeCleanerPRO 25 Series which offers the ultra compact 6-25 foot carbon fiber extension pole.